Welcome to Morris County SHRM! 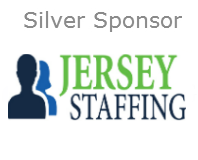 The Society for Human Resource Management - Morris County Chapter, Inc. (SHRM), an "affiliate" of the Global Society for Human Resource Management, is a 700+ member community of human resource professionals and management consultants in Northern New Jersey. Members of Morris County SHRM are responsible for long-range human resource planning, personnel recruitment, hiring, compensation and legal considerations in today’s workplace. Morris County SHRM offers monthly educational and networking opportunities for members, businesses and our communities. please contact our Membership Chair Patrick McDermott. EXCITING NEWS @ MORRIS COUNTY! MC SHRM is once again a Platinum Chapter! This award recognizes outstanding achievements in chapter operations and a commitment to providing meaningful programs and services to our members. capable of developing strategies that lead to business success! MC SHRM is a Foundation Chapter Champion! Please join us at the May 8th Dinner Meeting "Recruiting Then vs. Now. How to attract and recruit talent in a competitive market". Click here for details and online registration. 2019 GSC-SHRM Conference & Expo - SAVE THE DATE! October 6th - 8th. Click here for details. Membership Has Its Privileges! David Lichtenberg, Esq., our chapter’s Legislative VP, is pleased to offer a NEW legal hotline service to Morris County SHRM members. This is to assist Chapter members in making day-to-day human resources decisions, while minimizing their exposure to employment law litigation and administrative agency proceedings. David can be reached directly at (908) 516-1056. Contact info: Your Global SHRM member profile is completely separate from your Morris County SHRM profile, so be sure to update your information. Your Morris County online profile can be updated by clicking on the link that reads "New Contact Info? Update it Here" shown above in the right side margin. Additional Sponsorships are currently available. Contact us to learn more! Copyright © 2014 SHRM Morris County Chapter. All rights reserved.